Travelling the world and seeing everything our beautiful planet has to offer is something that everyone should do at one point another. 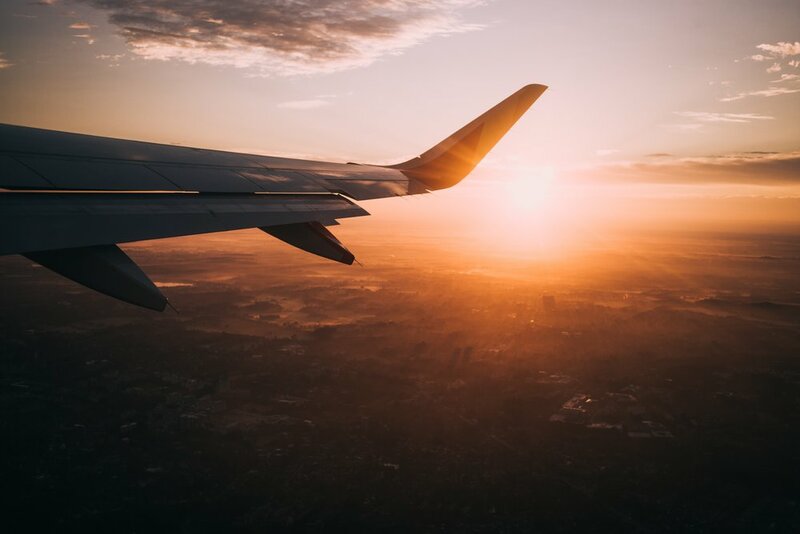 However, if this is your first time travelling long distance, or first time as an adult, then you might be feeling a little baffled on what you need to arrange to make sure your trip(s) are successful. Often you’ll see articles on the internet and in magazines about the perfect getaway in the sun, or where to go for a kickass skiing holiday and while these are great, they can lack information that you’re seeking. So that’s why we’ve decided to compile an ultimate guide to travelling the world so that you can begin seeing the sights! Have a friend or family member take care of any pets. If this isn’t possible, look into kennels that your pooch can go to while you’re away. Remember to let them know of any special needs your pet may have. If you have a cat or smaller pet, perhaps a trusted neighbour could check in for feeds. Leaving your home for an extended period of time can invite burglars to try and gain access to your home. Again, call on a friend, family member, or neighbour to keep an eye out and check everything inside your home while you’re away. This includes collecting post to make it less obvious that you’re not in and watering your garden to prevent your plants from dying off. Turn off as many electrical items as possible before leaving to prevent any fires breaking out. If possible, simply leave your fridge and freezer on to prevent any food from spoiling while you’re away. If you have services such as a milkman, inform them to suspend your deliveries until you’re home. This will save you money and also prevent it from being obvious that the house is empty. Shut and lock all windows before departure to prevent any easy access points for unwanted guests. This might seem like an extremely obvious thing to sort out before travelling, but you’ll be surprised at how many trips away have to be cancelled because people haven’t received their passport! If you’re applying for a new passport (meaning it’s your first one), it can take anywhere from 6 weeks to a few months to receive it. As soon as you know you’re travelling, get the process moving so that you have it ready in plenty of time before travelling. You can find out more info on passport prices and how you can renew a current one. Once you have decided where you’re travelling to, the first thing you should be arranging is accommodation. Believe it or not, many people are left with less than satisfactory accommodation choices because they have delayed arranging it. Travel agents can help organise this for you if you’re not sure, but it’s fairly simple to do online as well if you’d prefer that option. When it comes to packing, people either pack way too much or far too little. It’s important to think about the climate you’re visiting, and also any other factors such as sudden weather changes, air conditioning that may make you feel chilly, what temperatures to expect at night, the terrain, and also activities you may be taking part in. You can find an ultimate packing list here so that you don’t miss out a thing in your suitcase. Remember to take into consideration weight limitations if you’re travelling by plane! Memories of your journeys will stay with you forever, and it’s amazing how much you’ll remember even years after your experiences. However, being able to document your experiences in photo form is another great way of re-living those amazing moments. Make sure you pack your camera with it’s charger leads so that you can document every step of the way! A selfie stick might be another good idea to capture the shots you’re after with you in it too! Finally, if you’re looking to turn travelling into a full time thing, then it might be a good idea to start a travel blog for a steady side income for your travels. There are so many opportunities that can come from a travel blog, so it’s definitely something to consider. Not only that, it’s yet another way of documenting all of your experiences.